Budding business owners have a lot of decisions such as location, services, décor, branding…the list goes on and on. But whether you are opening a full-service day spa or a one-room shop, no decision is more important than products. It defines your menu, sets the standard for quality and helps craft your brand. The good news is you have lots of choices. The bad news is you have lots of choices. It can be overwhelming. Choose well, and your facials will flourish. Choose poorly, and your clients won’t return. Or your cost per service may paralyze your profits. So how does one decide which lines lead to success? Which Products Are Right for My Business? Your search for the perfect product line begins by examining your options. Product lines fall into two basic categories: brand name or private label. Brand name products are lines that most consumers have heard of. They can be large or small, but already have a market presence. Conversely, private label products come pre-formulated like the brand name products, but they have no label and can be branded with your own name. Stocking your shelves with brand name products seems like a win-win. The manufacturers spend a lot of money on marketing, so your clients recognize them as reputable. They also tend to command higher prices, which equates to higher sales numbers for you. If you are toying with the idea of incorporating a private label line into your offering, the following reasons may be some reasons to do so. Choosing the private label path offers great opportunity for both small and large businesses, which are discussed below. Back bar options. Brand name manufacturers make more money on retail sales, so the focus tends to be there. For this reason, back bar selection may be limited depending on the manufacturer. As practitioners, we know that customizing your treatments to suit each client’s needs builds loyalty by delivering results. So you need a superstar back bar to ensure your clients return to your table. More options. Since private label brands offer lower minimums and come with no brand on the bottle, you can buy from multiple companies and tie them all together with your own brand. That way, you can pick and chose which products you like from each supplier instead of stocking the entire line. I personally stock three different private label lines. I love the retail cleansers and moisturizers from one, but I don’t love their exfoliators and serums. Likewise, I love the serums from a different company, but I don’t love its back bar offerings. Having multiple product lines to chose from lets you customize both your retail and your back bar to suit your needs. Wholesale prices. Since brand name manufacturers spend a lot of money on marketing and labeling, its products naturally cost more. This affects your bottom line. For facial services, you will need to charge higher prices since the cost per service will be high. This could cause problems when comparing your menu to your competitor’s. You may need to limit the number of products used per facial to keep costs down, which restrains your ability to ensure results. Retail. For retail sales, high prices tied to brand names hinder your ability to extend these results through home care. Since the wholesale cost of a private label product is lower than that of a brand name product, it makes sense that the retail price will also be lower. A lower price means customers are more likely to try it, or even try multiple products, because they feel like they are getting a “deal.” A standard product markup is 50%, so if the wholesale price is $45, you will need to sell it for $90 to make a reasonable profit. This might be fine for some markets, but customers who are price-sensitive may hesitate or buy fewer products to stay below their budget. The beauty of private label products is that the manufacturer’s suggested retail price (MSRP) is often more than double the wholesale cost, so your profit margins are high. I purchase one of my most popular private label cleansers for $4.65, and I sell it for $16. This cleanser flies off the shelf because customers are happy to take a chance on a new product that only costs $16. They might be more apprehensive if it costs $35. Once clients see well priced products, they start picking up other products and asking what else they need. They also keep coming back to buy more. Opening orders. Many brand name wholesalers require opening orders in the range of $5,000 and up. For small independent shops, this is a hard cost to swallow, especially if they’ve already maxed out every credit card buying furniture and supplies. These quantity requirements also can exceed shelf and storage space. Additionally, brand name wholesalers sometimes require that you stock their entire line and won’t let you pick and choose which products you think will sell well. For example, a brand name wholesaler may have a $5,000 opening order, a $500 reorder minimum and a 12-item quantity minimum for each individual SKU. So if you want to reorder more of a particular cleanser, you have to order at least 12 of them in addition to meeting the dollar requirements. On the contrary, one of my private label wholesalers has a $300 opening order, a $100 reorder minimum and a three-item quantity minimum for each SKU. With these requirements, you can stock several different private label brands at the same time and still save money and shelf space. Outside availability. Selling retail to clients not only extends the effects of their service, it gives them a reason to return. When they have to come back for products, they’ll often schedule a service too. However, since some brands are sold at other places, they may not choose you next time. Cheaper priced knockoffs available online may fool your clients into thinking they’re getting a deal, further weakening their connection to your business. Cohesive branding. Your “brand” is comprised of many elements including your name, your décor, your tone of voice, your personality, your values and much more. Somehow, you try to fuse all of these things together in a logo. The ability to put that logo on your retail products is one of the best reasons to choose the private label path. It strengthens your brand by creating a cohesiveness that keeps advertising for you even after it leaves your shop. Every time your clients reach for your products, they’ll be reminded of your spa. It might even remind them to make an appointment. You have actually become a “brand name.” Isn’t that exciting? Increased customer loyalty. When you private label, you offer a product that no one else sells; a product with your brand on it that your customers can’t buy anywhere else. So, you essentially have no competitors. If your clients like your cleanser, they have to come back to get more. This means repeat business and increased customer loyalty. Once you decide to private label, you need to determine which products you want to use and sell. Do you want to focus on organic/natural products or cosmeceuticals? Do you want your line to be simple with just a few core products, or do you require a wide selection of serums to help treat acne and aging? Will you be focused on retail, or do you need a comprehensive back bar? Once you’ve answered these kinds of questions, so begins the quest for the perfect partner. Search in the right places. Unlike hunting for the perfect pair of silver slingbacks, I don’t recommend starting on the internet. There’s just too much advertising noise on the web. Peruse your favorite trade pub, like Skin Inc., and see who’s advertising. Then pull out the laptop and surf for more info. Tradeshows are also invaluable. You can visit several different private label companies at one time, test their products, see their packaging and let them sell to you. Consider these factors. The private label partner you ultimately choose will need to meet a lot of requirements. The first thing to look at is the philosophy of the company and whether or not it aligns with your own. Next, you’ll need to evaluate the quality of their products. In other words, do they look and smell nice, and most importantly, do they work? Then you can get down to the nitty-gritty: Do they meet your budget? Do they offer enough variety in retail and back bar? Are they also selling to your closest competitors? Do they offer adequate marketing and promotional materials? If you ask the right questions, the right partner will rise to the top. When considering whether or not to retail private label products, spa owners often worry about the perception of their clients. “Will my clients trust a brand they don’t recognize? Can I convince them that these products are just as good than the brands they know even though they’re half the price?” I had this concern too, especially since my first shop was in Los Altos, Calif., the 10th most expensive city in America. I quickly realized that everyone appreciates value, and they trust you as an expert in the field. I communicate that private label manufacturers are focused on product. I tell them their cosmetic chemists are still on the cutting edge of formulation and ingredients, but that they don’t spend as much money on marketing. This enables them to sell products to me at a lower price, and I can pass these savings onto my clients. Everyone likes the sound of that! 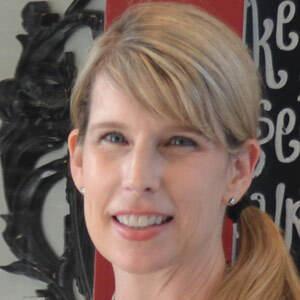 Julie Dewhirst is the owner of two California bay area spas, Bloom Skincare in Los Altos and Ritual Day Spa in Campbell. A former marketing copywriter and licensed esthetician herself, she offers the perfect blend of relaxation and results in a unique environment where clients feel truly welcome. This article appeared in the December 2017 issue, see what else was in this issue's digital edition.